After leading the entire Golden Globe fleet around the planet pretty much since day one, Jean-Luc Van Den Heede is within 450 miles of the finish line. If all goes according to plan, the Frenchman will sail into the waters of Sables-d’Olonne on Monday, January 28. Even after a knockdown that seemed to threaten his nonstop attempt, Van Den Heede has managed to fight off a late-race push by second-place sailor Mark Slats. “On 15th January, the difference between the two yachts, in terms of distance to finish, was just 50 miles. But since then, the French veteran — who is about to complete his 6th solo circumnavigation — has delivered a master class in ocean racing strategy to extend his advantage to 412 miles,” said a Golden Globe press release. 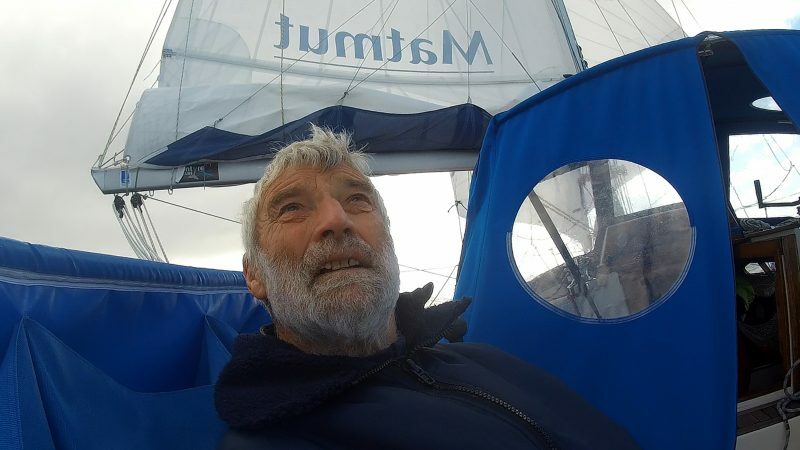 We’ve seen a lot of close-ups of 73-year-old Frenchman Jean-Luc Van Den Heede since last July aboard his Rustler 36 Matmut. JLVDH may step onto dry land on Monday. The 50th anniversary of the Golden Globe has been what we’re prepared to call the most grueling ocean race in recent memory. It seems as if 60 boats started, 12 sailors were plucked out of the Southern Ocean, and only five boats remain (the last part of this sentence is the only actual fact). But don’t get too excited yet. “A storm is due to blow across the Bay of Biscay producing, 45- to 55-knot winds and viscous seas with waves building to 9 to 10 meters [30-plus feet] . . .” the press release said. Yesterday, an off-duty Coast Guard civilian employee rescued a surfer in distress near the Humboldt Bay jetty. “I just did what any Coastie would do in that situation,” said Steven Bluntzer, a Sector Humboldt Bay civilian search and rescue controller — and himself a surfer — who was in the right place at the right time. But before everyone arrived on scene, Bluntzer rushed to the water on his own surfboard, and paddled to the flailing man, who had reportedly been battling current and waves for 45 minutes. Bluntzer got the man on his own board as rescue boats arrived on the scene and pulled both men onboard. We feel that we should reiterate that the on-duty Coast Guard personnel involved in the rescue have not been paid in nearly a month. Breaking news: President Trump just agreed to reopen the federal government for three weeks, according to the New York Times. The move temporarily brings to an end a 35-day shutdown where some 800,000 federal workers went without pay — including the Coast Guard. The 145-year-old East Brother Light Station, which has been converted into a charming bed and breakfast, is looking for a new caretaker. 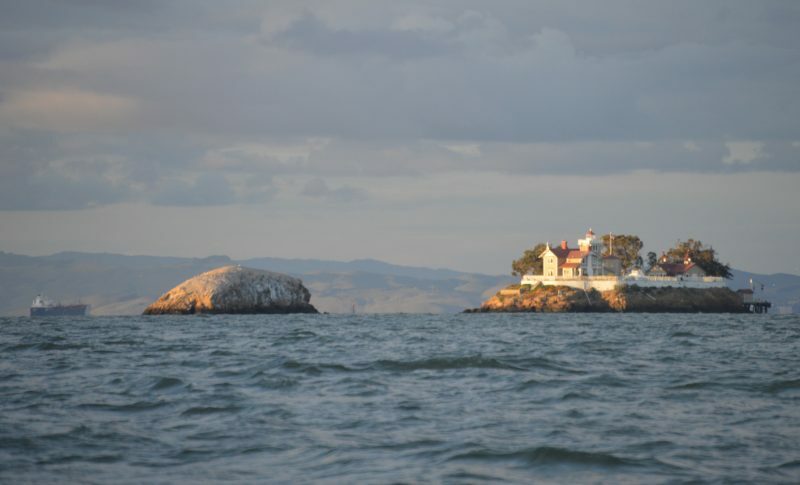 East Brother Light holds a scenic spot in San Pablo Bay. Is this your dream job, or are you happy just to sail by? The job reportedly pays $130,000 a year (it’s not clear if that’s a per-person or per-couple wage). “What do sailors use to blow their nose? Anchor-chiefs.” Thanks, we think, to Seahorse Sailing School for that one. Despite all the connections you can make and all you can learn through the digital world, there’s nothing like actually being there. With that in mind we jumped on a Southwest plane yesterday morning at the Oakland airport for a day trip to the San Diego Sunroad Marina Boat Show. We’re still amazed by how easy it is to do. All our unpaid TSA agents were efficiently working away, and the short trip was made even more fun when we rented the Lime scooter that was right outside the terminal to scoot over to Shelter Island first and then back to Sunroad Marina on Harbor Island for the show. Limin’ in San Diego. 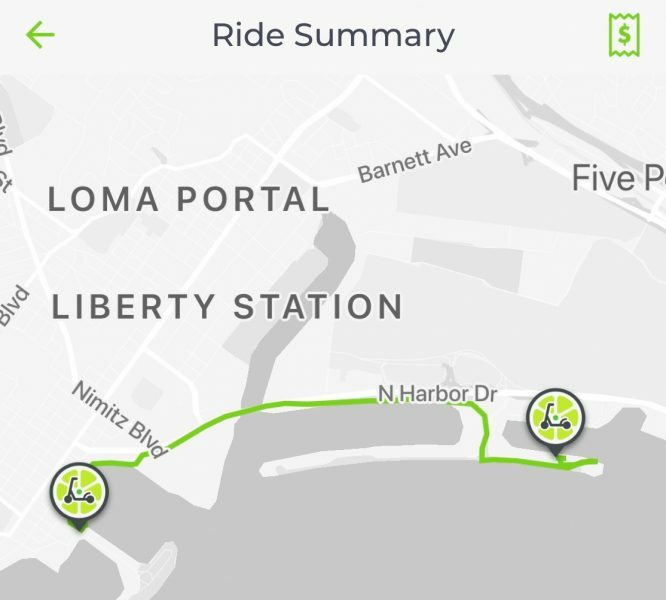 Cruising the San Diego waterfront on a Lime scooter added some adventure to the trip. The added bonus: By traveling five degrees south from 38° North to 33° North, the temperature went up 10 degrees from 62° to 72°, making for very pleasant dock walking. Dock walking in 70°+ is a comfortable way to check out new boats. The Sunroad is a mixed power and sail show with plenty to see in a day. 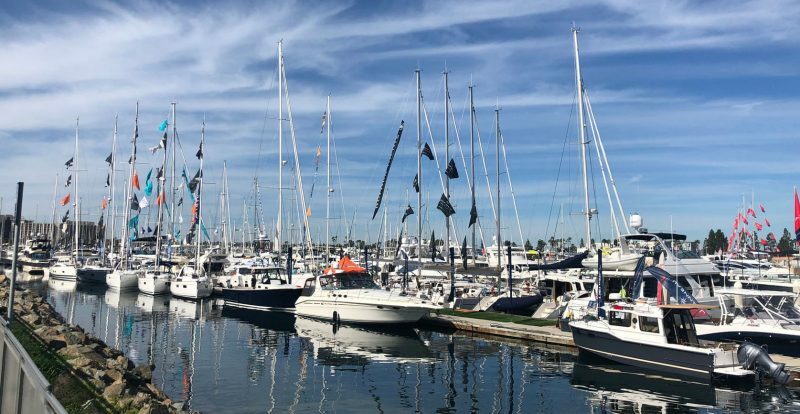 We visited with all our harbormaster friends up from Mexico, many yacht brokers with a nice variety of new monohulls and multihulls on display, and sailors like the owner of a Mason 53 who did a seven-year Pacific cruise starting with the Pacific Puddle Jump in 2002. He’s now looking to do it again, but this time on a cat in the 50-ft range. The show was sunny and warm, with a nice collection of monohulls and multihulls to check out. 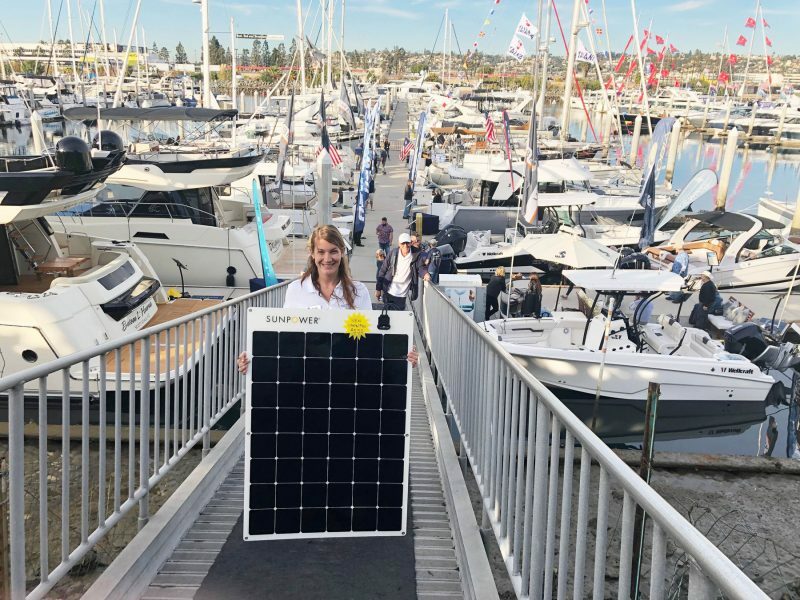 Made in the shade: Katie Burgess of Sun Powered Yachts showed off Sunpower’s only new 170-watt flexible solar panel in the US. More are on the way. Yesterday was a busy Day 1 of a four-day show. With a good forecast for the weekend, it’s an ideal time to unplug from the Internet, see some real boats, and talk to real people. 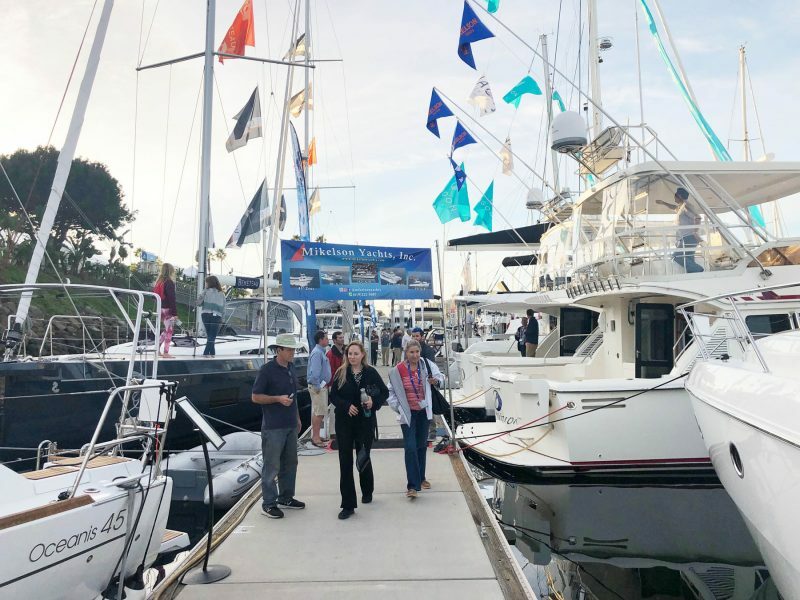 The show offers a few educational seminars and some great boats. It’s amazingly convenient to the San Diego airport. In fact, we were disappointed by a fail when we couldn’t activate a Lime scooter to scoot back to the airport. Fortunately the airport is so close you can actually walk to it from Sunroad Marina, and a walk is always good for you too. “What the heck is the Berkeley Fan?” you might ask. What was formerly known as the Olympic Circle, and also as the Berkeley Circle, is a region of water west of the Berkeley shoreline. San Francisco Bay racers know this area for its mild currents and nukin’ summer breeze, usually accompanied by drenching chop. Many a regatta is held on these gnarly waters — which are quite a bit tamer in the winter. As seen in a YRA chartlet from 2007, the ‘OC’ marks formed a nearly perfect circle. ‘D’ is a green government buoy. The stick across the lower right portion of the graphic is the Berkeley Pier. The Olympic Circle was an old concept. The XOC pin lay in the center of eight other marks, each about one mile away from XOC, north of the crumbling Berkeley Pier. Race courses could be set up without use of temporary inflatable marks and the competitors sent on courses corresponding to the wind direction. For instance, in a northwesterly (a common wind direction), GOC could be the first mark for a windward first leg. Windward-leeward courses could be constructed, or as was popular in previous decades, a triangle-sausage course. The XOC starting pin, as seen in a Berkeley Yacht Club Midwinter race a couple of years ago. But the Berkeley Flats— they’re called that for a reason — continue to silt up. First the deeper-draft boats started running aground at AOC and complaining to the race committees. Then AOC, BOC and HOC simply became unusable. They’re no longer on station. An updated chartlet shows the current configuration of the racing area. This orange pillow has been serving as BYC’s starting pin for the past couple of Midwinters seasons. 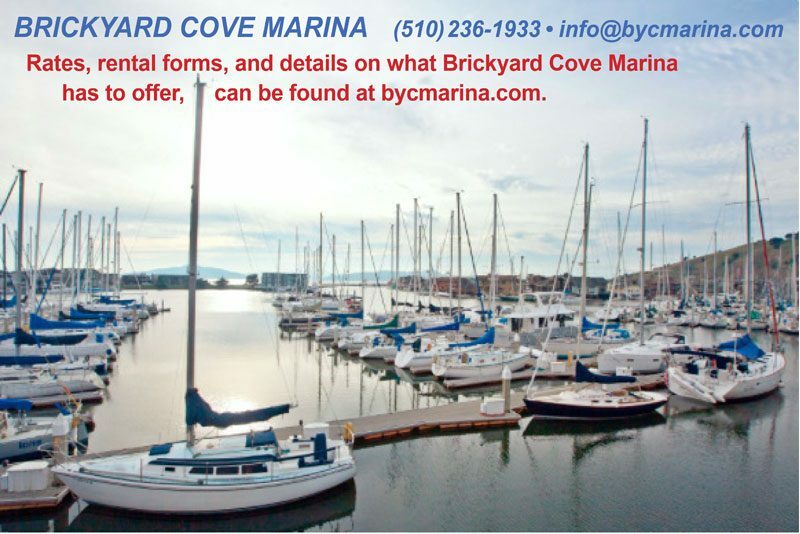 For more information on this and other racing areas on San Francisco Bay, see pages 42-47 of the 2019 Northern California Sailing Calendar and YRA Master Schedule.